Residential Plans over 2,000 sq. ft. 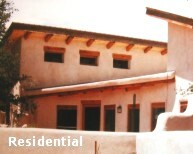 Here you will find a listing of all of the residential plans available at DreamGreenHomes.com that are over 2,000 sq. ft. They are listed in alphabetical order according to their title. For more specifically sorted plans, look under Styles or Materials in the above menu.